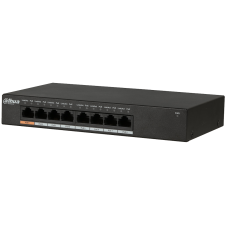 The DH-PFS4210-8GT-DP is an 8-port Gigabit PoE Industrial Switch supports the IEEE 802.3af/at standard. 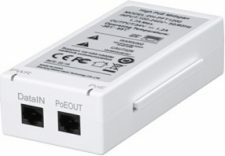 Two of the ports support Hi-PoE to provide 60 W via a single port. 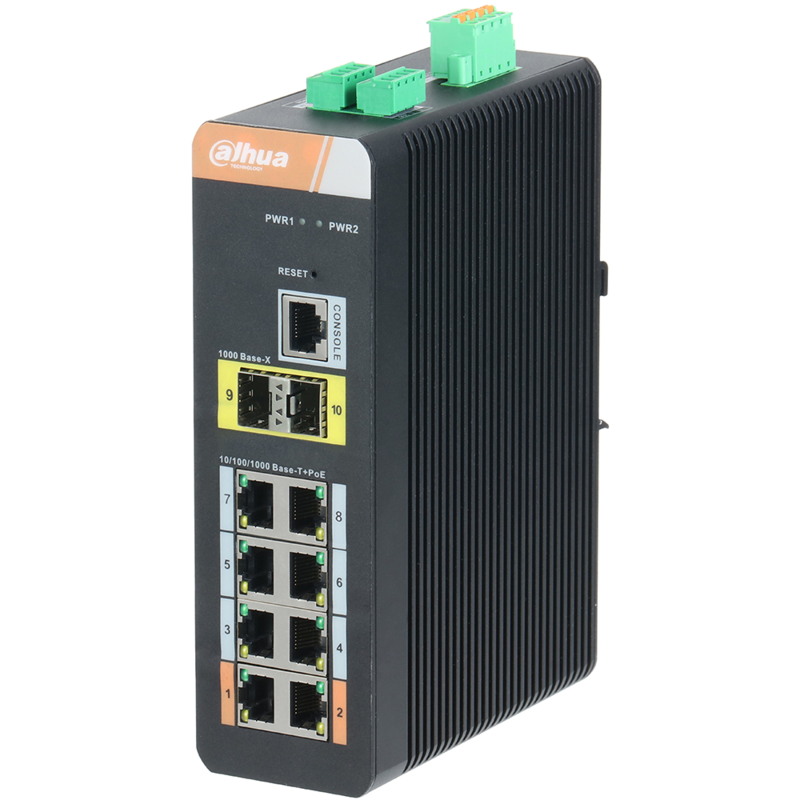 The switch DH-PFS4210-8GT-DP is a Layer 2 managed industrial PoE switch and supports Web, SNMP and also CLI network management. 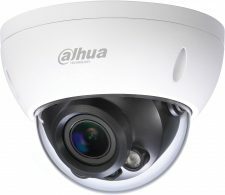 The switch also supports ring network redundancy using standard STP/RSTP/MSTP protocols and also supports rich features such as VLAN, Link Aggregation, Port Mirroring, Flow Control, IGMP Snooping, SNMP, ROMN, ACL, QoS, and Static IP Routing.